loyalty cards with the updated number of points, as well as applicable special offers. You can deliver a new card anytime it is required! The erase/write cycle is extremely fast and you can erase, encode, and reprint new data in a matter of seconds. 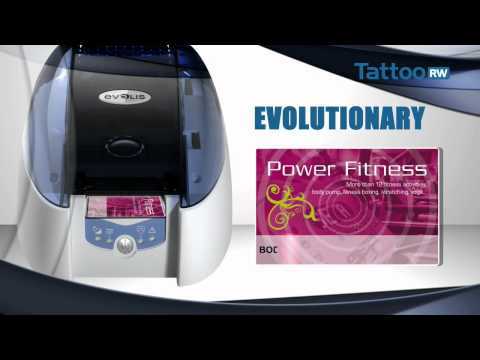 Tattoo RW helps you reduce your environmental footprint. 1 / Depending on the printer model / 2 Warranty Subject to observance of specific conditions and use of Evolis High Trust® consumables. An insertion is equivalent to printing a card on one side, or encoding it.